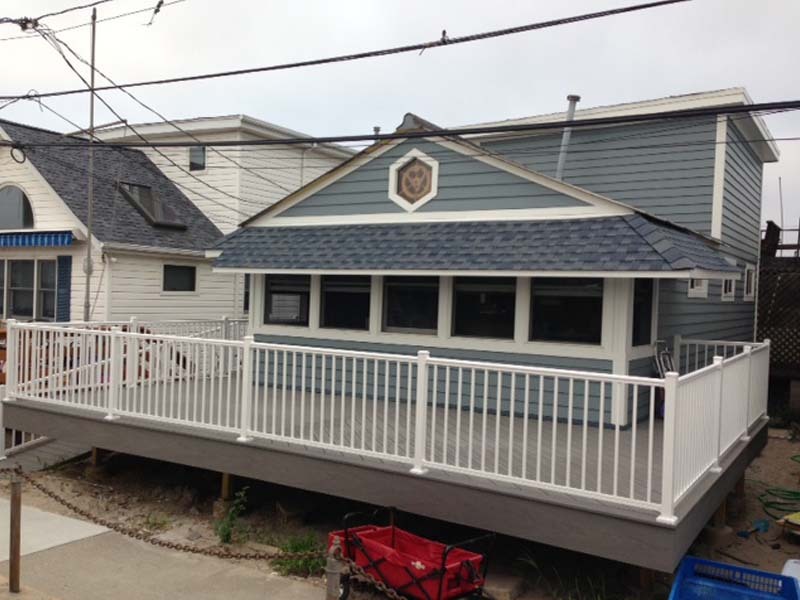 This home near Queens, NY is a vacation home for one of the James Hardie Executives and was destroyed after Hurricane Sandy. This home needed a lot of work done so to fix this home, we removed existing decking, poured new footings and re-framed it. Next, we then re-roofed the front of the house and installed James Hardie Artisan Plank siding to help make this vacation home look brand new. 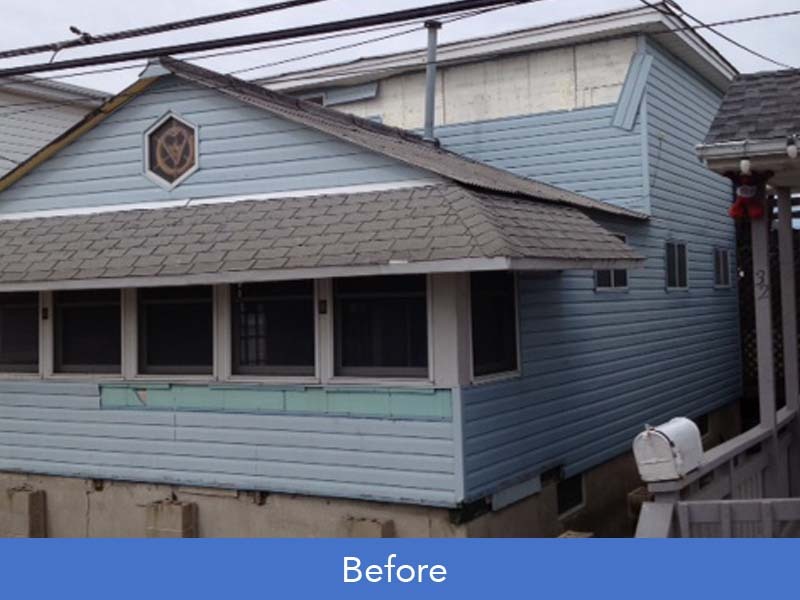 See the before and after photos below of another job well done, courtesy of Good Guys Contracting and James Hardie Siding.